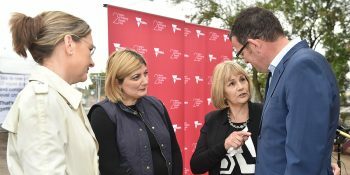 The Andrews Labor Government is taking advantage of the quieter summer months to ramp up works on two of Victoria’s most dangerous and congested level crossings in Melbourne’s west. Almost 365 days ago, Victorians gave us the greatest gift of all, the rare chance to make a real difference in the lives of Victorian families - and we haven’t wasted a single day. Work on the removal of the dangerous and congested level crossing at Main Rd in St Albans has ramped up, with demolition of the existing station building and platform 2 now underway. 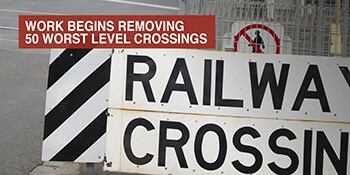 Work will start on removing the level crossing on Main Road in St Albans on Sunday. Works at the deadly and congested level crossings on Main and Furlong Roads in St Albans will begin in the coming weeks. The Andrews Labor Government has started work on 50 level crossing removals, a project that will get Victorians home safer and sooner if they drive or use public transport.